Who is ready to get organized? I’ve had multiple emails asking if I was bringing back my printable sets for 2018 and the answer is YES! Keep an eye on the blog over the next several days as I share them. 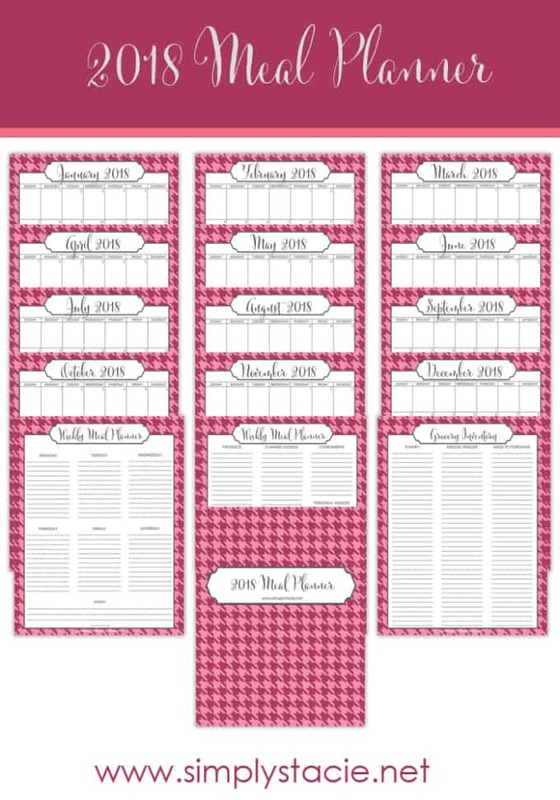 Today’s freebie is a free 2018 Meal planner printable. Use it to plan your family’s meals for the entire year. It includes a Weekly Meal Planner, Grocery Inventory and a Monthly Meal Planner. Click here to download your free meal planning printable. If those colours aren’t your fancy, I have another option this year for you. It’s the same format, but a different design. Check out this meal planner and see what one you like the best! Have you updated for 2019?